Shark Week is sadly almost over. However, we couldn’t let it go by without creating a new recipe. 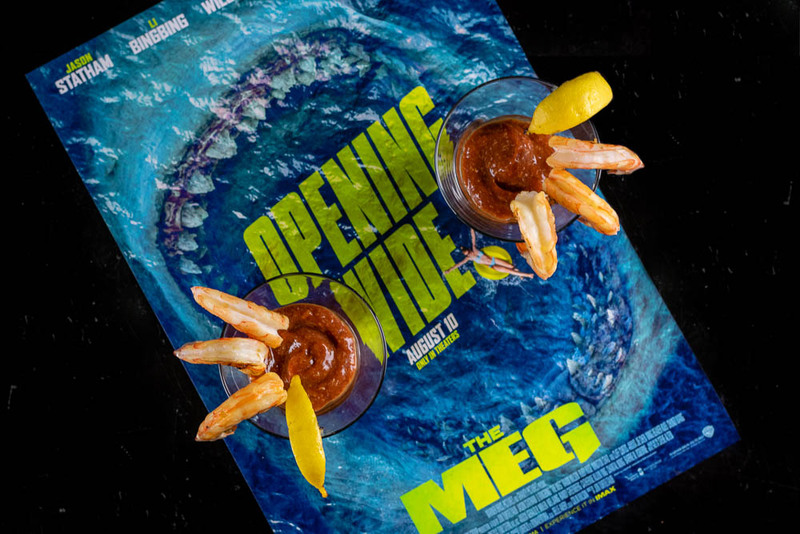 It only made sense to create a new recipe for The Meg! We created a recipe Meg-a Shrimp Cocktail! Not only that, but we are giving away VIP Advanced Screening Passes. For The Meg, you need a larger than life appetizer. That’s why we came up with Meg-a Shrimp Cocktail! How is it different? Instead of boiling the shrimp we’ve grilled it! This gives it a nice smokey flavor. Speaking of smokey flavor, we’ve modified the typical cocktail sauce by adding Liquid Smoke. These changes make for a huge flavor! We hope you enjoy our Meg-a Shrimp Cocktail! Want to see The Meg? Well, guess what?! We are giving away 10 pairs of VIP screening tickets for a sneak preview! The screening will be held at Harkins Arizona Mills IMAX, on Monday, August 6th. The screening starts at 7 pm and the winners should arrive at 6:15 in order to guarantee their seating. Winners will be selected on Friday, August 3rd. Good luck! Grill Lemon Quarters just until grill lines form. Grill until cooked through; about 3-4 minutes per side. 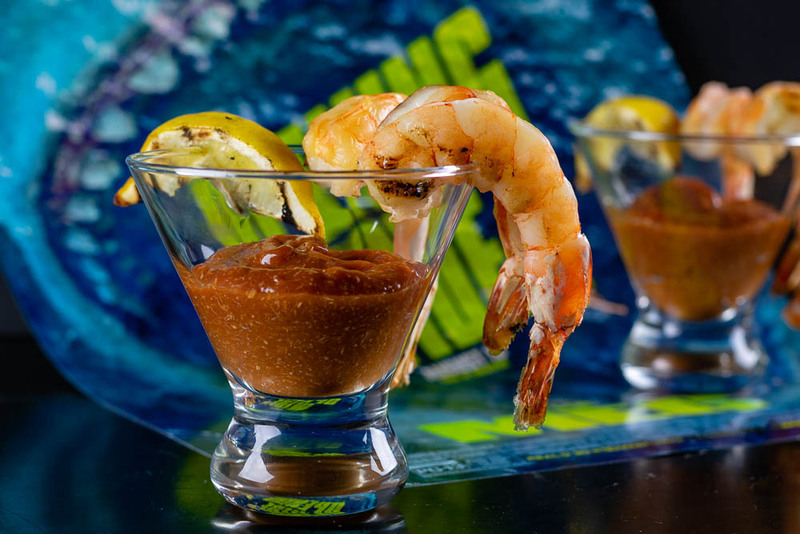 Prepare in an individual cups with one shrimp, a bit of cocktail sauce, and a lemon quarter.